So I needed a weekend getaway. It needed to be close to New York but out of the state and there had to be a lot to do but it also needed to be peaceful. Just two hours from New York, Mystic, Connecticut was the perfect choice. 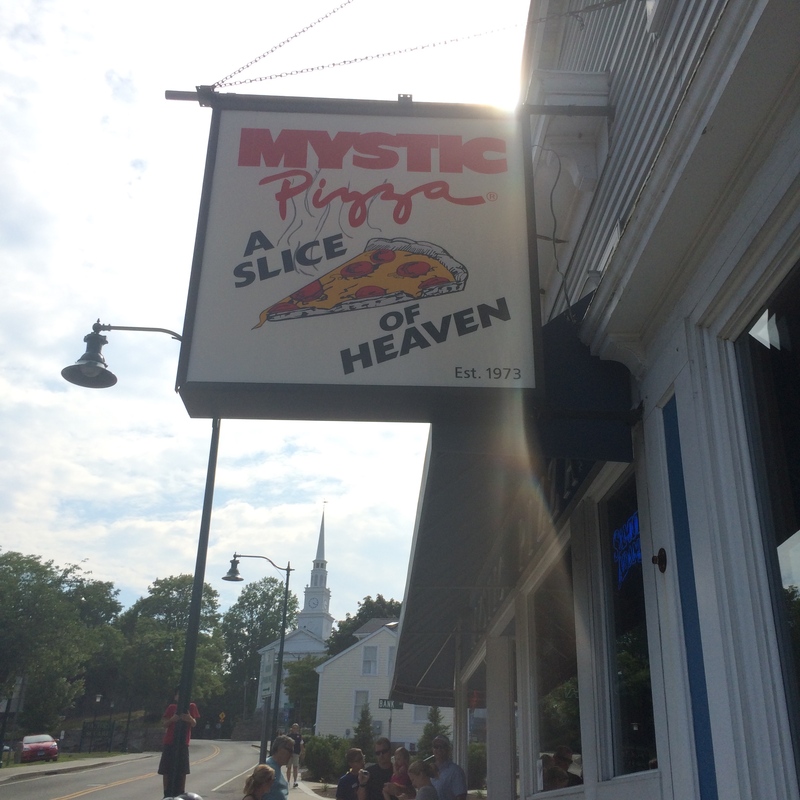 Have you heard of Mystic Pizza? The movie with Julia Roberts? It was filmed in the 80s, in Mystic, and it kind of put the town on the map and it’s a total classic and it’s not too much of a chic-flick that your partner won’t be able to enjoy either. 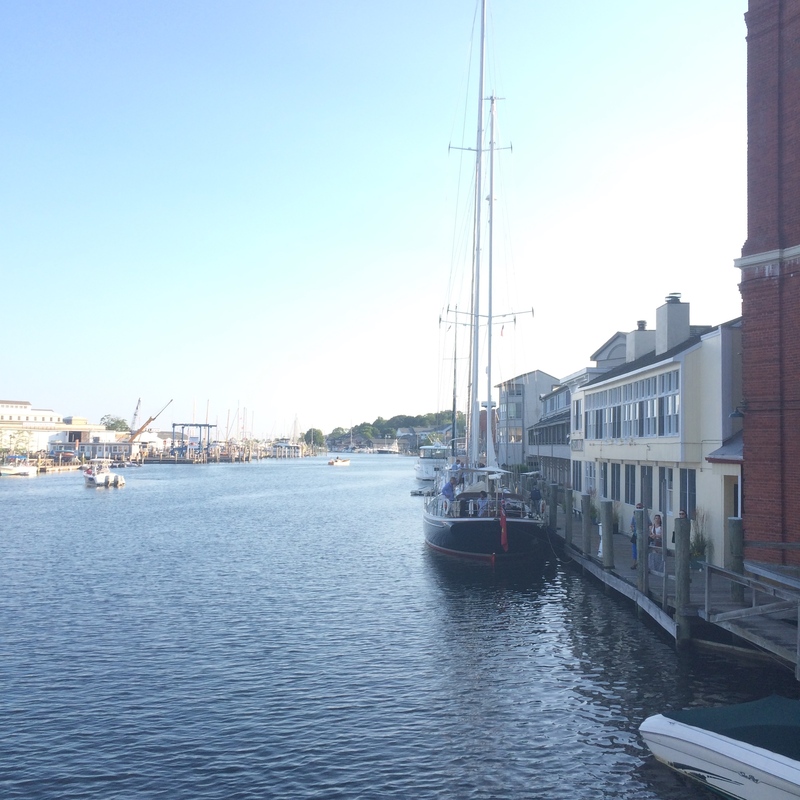 I was in Mystic for four days and it was the perfect weekend escape. Where I stayed: The Hilton Mystic is a really popular hotel in Mystic but I could’ve done better. The prices per night were reasonable but it didn’t include meals. There’s a lot of construction going on in the hotel these days that they could’ve mentioned on the website before me booking. I hated waking up so early to the noise of a power drill. 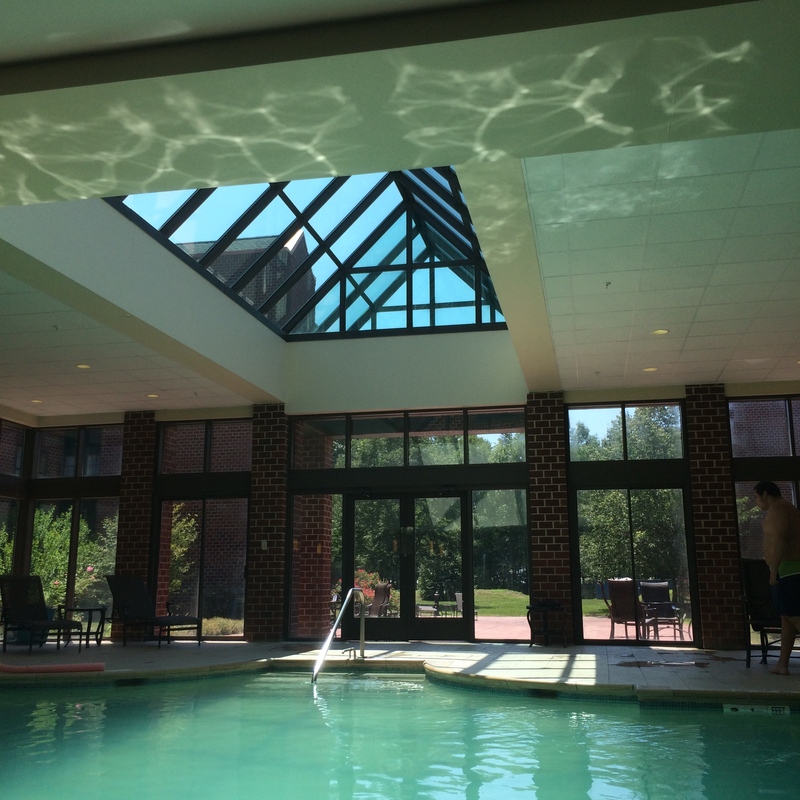 There’s an indoor pool and outdoor deck to relax. Their pool isn’t more than 4 1/2 ft. but I didn’t mind that. The hotel wasn’t luxurious but it was comfortable and the rooms were nice. It has an overall rating of 3.5/5 online and I’d give it just that mainly because room service would take a long time (and I had to ask them to clean my room multiple times a day because they didn’t do it when I left for outings). The kitchen has weird hours to order food, and although staff is polite they seemed short staffed. What I did like about the hotel was the location. It’s right near the Olde Mistick Village and next to the Mystic Aquarium, one of the biggest in the nation. If you’re looking for alternative accommodations Mystic has plenty of hotels and bed & breakfasts for you to choose from. 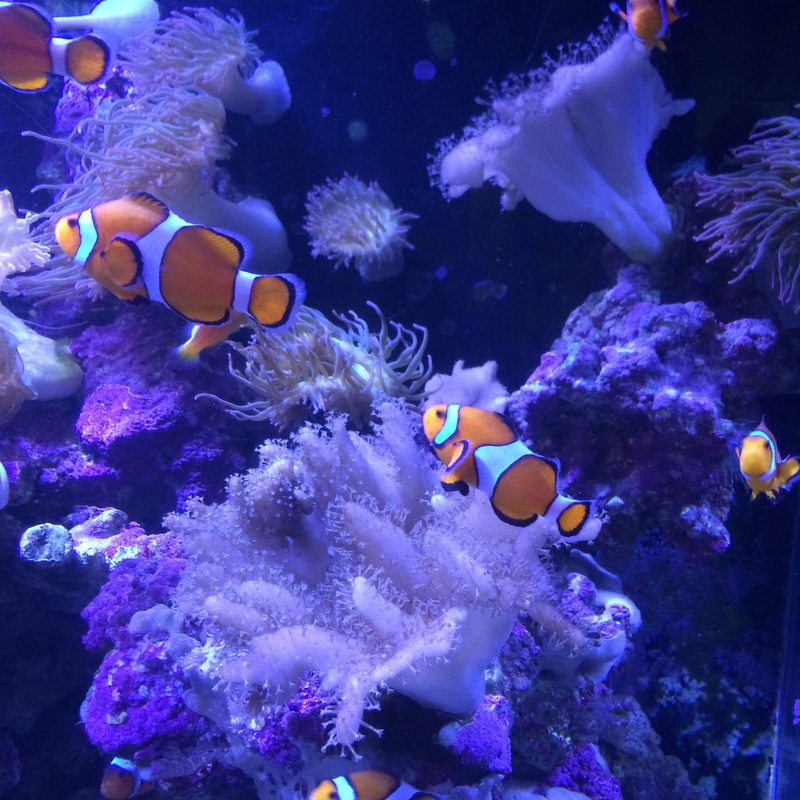 On the first day, I went to the Aquarium with some family. Tickets were like $35 for adults, which I think is a little pricey. They had beluga whales, penguins, a seal show-which was hilarious, among other aquatic animals. They also had a bird exhibition, which I didn’t check out, out of fear of getting pooped on. Ten minutes from the hotel is the town center where the historical Mystic drawbridge is. It’s a really quaint water-front town. And it reminded me of the movie. There’s a lot of cute little shops, ice-cream shops and nice restaurants. The drawbridge, which is a tourist attraction, comes up every now and then to let big boats and yachts pass through under it. For some family fun, twenty minutes away there’s a The Dinosaur Place. It’s a dinosaur village located in Monteville, which also has a small but cool water park. Families can unearth fossils in the “Bone Zone”, get lost in the village maze, and dig for gems in the “Jackpot Mine.” Be prepared to walk around the village to peak at dinosaurs in the woods and overlook a waterfront view. The Gateway Museum in Monteville (1650 Rte 85) lets you explore “American trades.” It features an exhibition of technology from printing presses to current technology. Ten minutes from there, is the USS Nautilus, a military museum and the world’s first operational nuclear-powered submarine, and the station is located off the Connecticut Navy Base. You can discover war stories and seep into the submarine simulators to experience Navy life. You’re also allowed to go into the USS Nautilus Submarine, which is cool but I have to say really small and cramped. If you’re claustrophobic, I wouldn’t recommend it because it’s full of tight spaces and small doorways. If there’s tours going on it’ll be worse. For someone who’s 5’9 (and I was with two people over 6’0) I was unable to check out the whole thing because we barely fit. However, if you’re a navy seal or sailor reading this, I thank you for your service and give you a lot of props–I don’t know how you guys do it. Mystic has a variety of events happening around town every month. I would ask for the local town calendar to jot them down to visit. 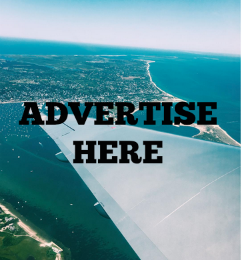 In July, they have a series of concerts and the Sailfest from July 10-12, which is complete with fireworks and amusement rides and from August 8-9th you can enjoy the Mystic Outdoor Art festival. If you’re an avid swimmer, Shark Swim Fest draws a fitness crowd for a 1,500 meter swim in Mystic waters on July 11th. Another 20-minute drive, south of Mystic, you can enjoy a beach at the Historic New London’s Ocean Beach Park, which has been rated one the best in New England in many travel magazines. The park has a lot of boardwalk attractions and a merry-go round. 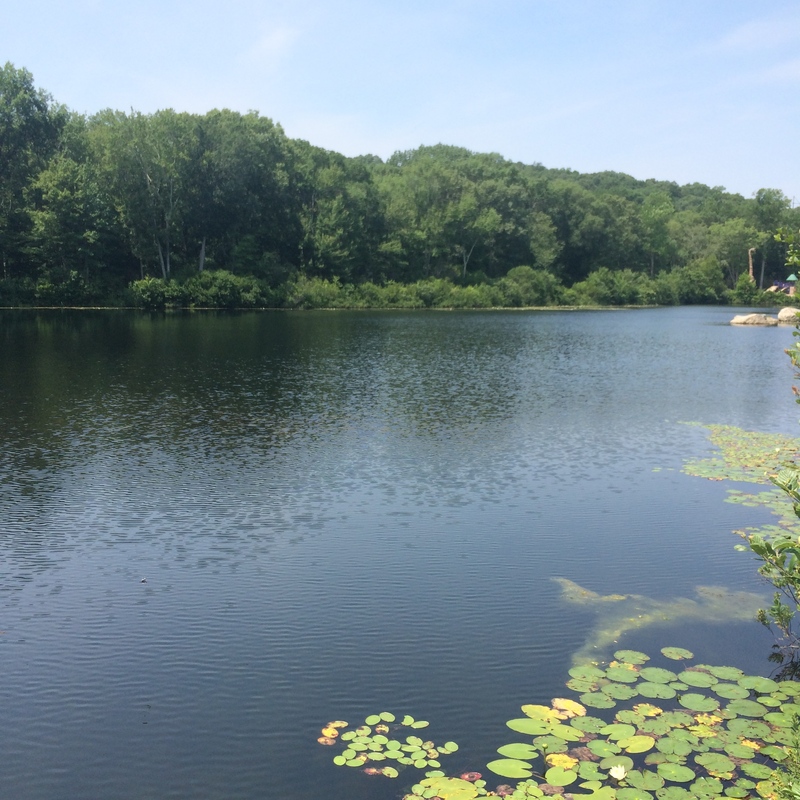 And you can also make your way to the Coogan Farm Nature And Heritage Center where there’s stunning views of the mystic river and perfect spots to relax and enjoy a picnic. There are a few spas in Mystic too, which you can indulge in. You should also visit the Mystic Seaport and the Museum of America and The Sea (http://www.mysticseaport.org/) and go on a boat ride in one of the many tourist boats and tours Mystic has to offer. Where to Shop: There were so many shops and so little time! I rounded up the top shops in Mystic (out of like 150 I visited) that I thought were unique, super cool, and affordable! In the Olde Mistick village there’s Imagine Mystic (imaginemystic.com), which lives off John Lennon’s anthem “Imagine.” It immerses you into the 60s culture, is filled with tie-dye shirts, and has awesome vinyl and cd collection, posters, and signs. Elizabeth and Harriet (http://elizabethandharriet.com) has nice facial and bath products. They have great clothing and an awesome Vera Bradley collection. Southern Exposure (http://shopsouthernexposure.com) brought me back to my time in Santa Fe. It has native handicrafts, cowboy boots, hats, and a great laid-back shoe collection. 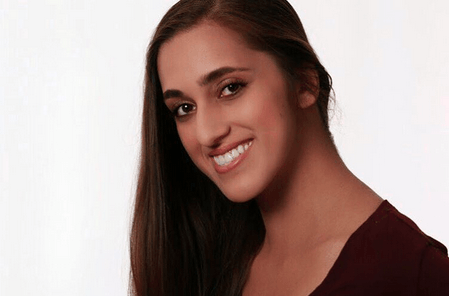 At Becca Rose Natural Body Care (http://www.BeccaRose.net), you can find a variety of organic and personal body and facial products, and you can get free consultation for their many oils and products to figure out which is best for you. Dharma Jewel is for the spiritual beings and buddhists. It also has himalayan and tibetan products. 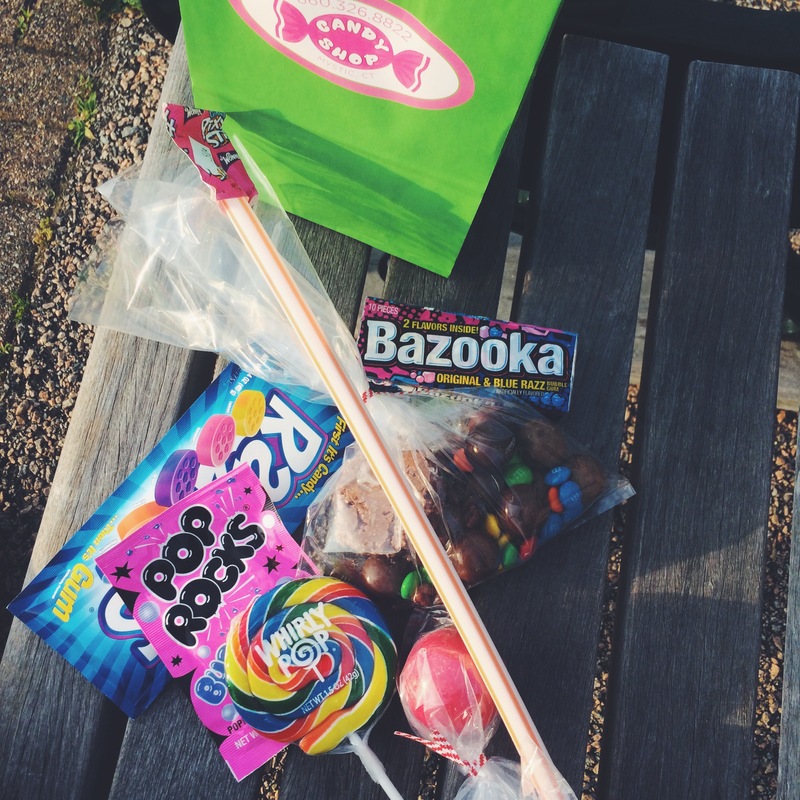 In Downtown Mystic, you’ll find great ice cream shops (which make ice cream organically and from scratch) and the Candy Shop from Dana Sadler is perfect for your sweet tooth. One shop downtown, which I absolutely adored is Bejeweled. I was able to get so many bracelets (similar to those of Alex and Ani bracelets) and the shop is filled with cute trinkets, clothes, and jewelry. I couldn’t spend more than 10 minutes in the store because I feared for my credit card limit, which is saying a lot because it was highly affordable. Across the street is the Mixed Bag, which has everything from Lilly Pultizer to nice jewelry, and dresses, too. Where to Eat: Finally, my favorite topic. Mystic restaurants are busy because they’re good! But because I hate waiting in lines, I’ll tell you that The Mystic Boathouse (3.9/4), The Seaview Snack Bar (3.9/4), and Harbour House Restaurant and Bar where all delicious, with great service and yummy food. If you’re in a water-side town the seafood is a must-have. 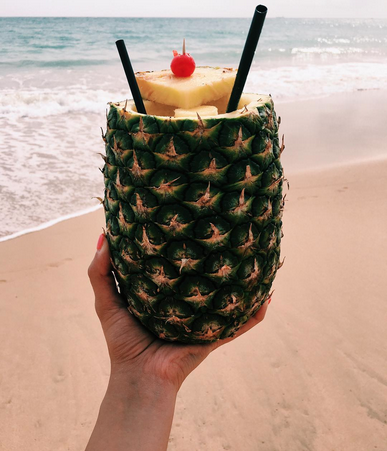 The Seaview Snack Bar is an outdoor laid-back, self-service hut with water front view. And I can still taste their food in my mouth (especially the shrimp, now that I think about it); if you’re in Mystic ordering from there is a must. 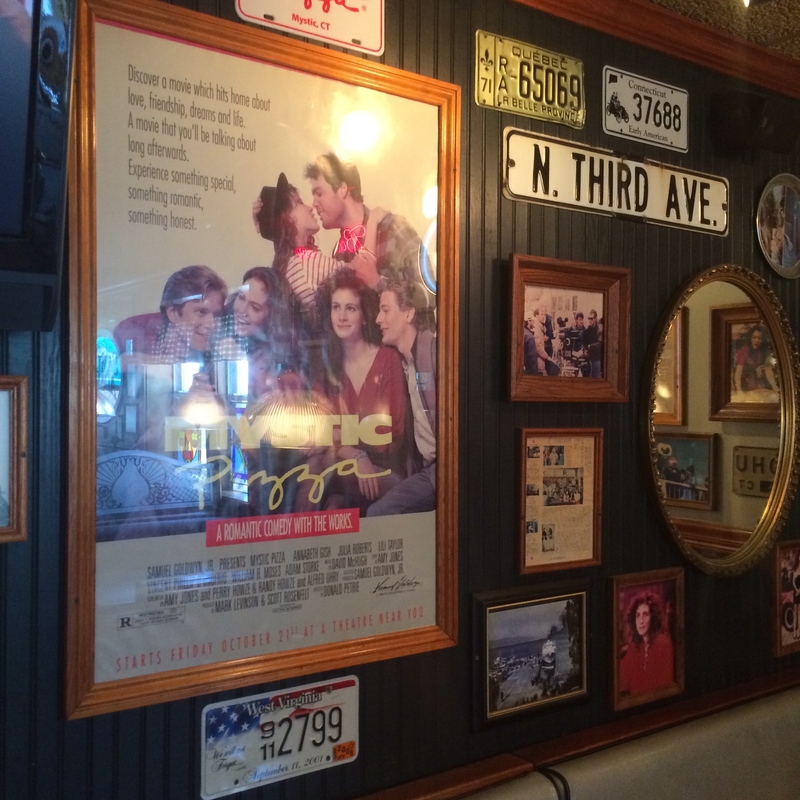 And last but not least, Mystic Pizza was great. The restaurant plays the movie over and over and I’d be disappointed if they didn’t. The Pizza was thick and great and their wings were yummy! Their calzones were “to die for” as I heard someone say while biting into them. The service there was also excellent! 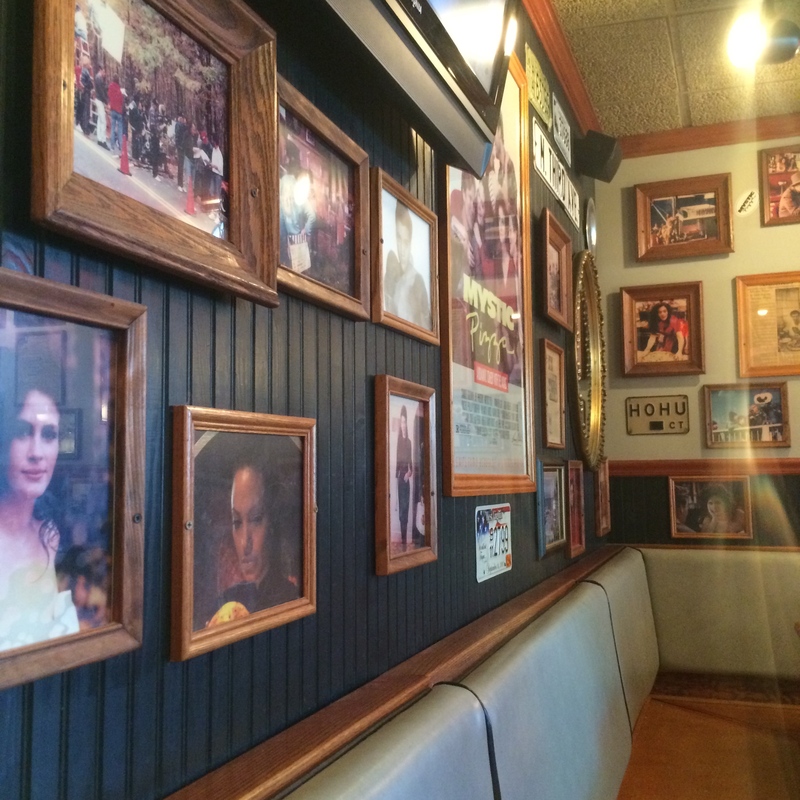 Pictures from the movie and other celebrities line the walls of the restaurant. This perfect weekend getaway wasn’t a private-jet to the Maldives or Capri, but being realistic and affordable, Mystic was perfect for having a budget and wanting to be close to home but not too much near it.